Harvard Business School (HBS) and Stanford GSB—two very different business schools, both titans of the business school world. Harvard and Stanford feature in the top five across the MBA rankings—the Financial Times, the Economist, Bloomberg Businessweek, and US News & World Report included. At those loft heights, there’s little separating them. Stanford is known as the breeding ground for startups and Silicon Valley tech. According to a recent Return On Investment Report by QS, Stanford MBA grad enjoy the highest post-MBA salaries globally. And Harvard? Well, Harvard’s Harvard. It’s where the MBA started. It’s the home of the case method. The American elite—George W. Bush, Mitt Romney, Michael Bloomberg—are all MBA grads from Harvard. Growing up, twin sisters Arum and Dawoon Kang, originally from South Korea, had big dreams of attending top-ranked MBA schools in the US. Both twins applied to Stanford and Harvard. They went their separate ways; Dawoon, first, to Stanford, then Arum to HBS. 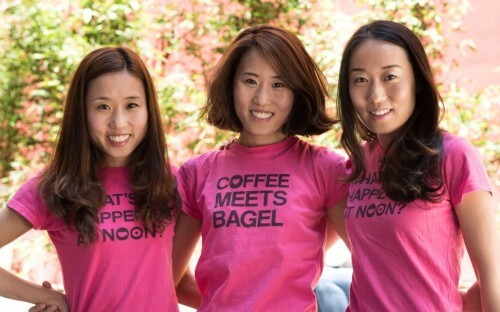 Twin sisters; they both went into business together after their MBAs starting up dating app Coffee Meets Bagel; they’re working on the same thing every day. What better way to compare two of the world’s top-ranked MBA programs? BusinessBecause caught up with Arum and Dawoon to find out more. I wanted to make sure my two years at business school would really put me out of my comfort zone and help me grow. Of all the campuses I visited, HBS was the most ‘out of my comfort zone’ by far! The case method is a completely different way of learning, where you’re put into a room with 99 other people, debate the case, and learn through that process from the professor and your peers. I wasn’t comfortable with public speaking, or being vocal about expressing my option, and it was something I wanted to work on. The classes that I’ve been to at other schools may integrate components of Harvard’s case study method, but it’s never 100% case method; it’s never the same thing. Harvard’s scholarship program is amazing—no other business school has the same kind of financial aid program. I got a scholarship, and I didn’t have to pay it back. My sister got financial aid from Stanford, but she had to pay back a large part of it. With Harvard’s size, and the endowment fund they have, they’re able to offer amazing support for people who may not have the means to attend and pay that expensive tuition. My advice is there’s no doubt you should go to Harvard. I wanted to be at a place where people take classes seriously, and they do that at Harvard. It’s the kind of place that stretches you hard. I also think there’s a value in a bigger school and a wider network. When I look at Stanford people, so many of them are in tech and startups on the West Coast, and that plays a big role in the Stanford GSB community. HBS is much more diversified. In my section, out of 100 of us, probably less than five started their own business after the MBA. Even so, I took classes on entrepreneurship and found out what it was like to be an entrepreneur. The MBA experience gave me that framework, and a network of people I could tap into, which helped me conclude that I was ready for it. Luis M. Viceira, a finance professor from Spain. He was wonderful! I was a little intimidated by him, but he was a great teacher and someone who cared deeply about his students. Another was former HBS Professor Mikolaj Piskorski. His class was the genesis of Coffee Meets Bagel. How do I get into Harvard? I don’t know the magic recipe. My theory is that they’re looking for a really diverse group. My interview was not what I expected. I ended up interviewing with the dean of admissions and I was asked a lot of questions about my family. I told my unique story. I had a pretty untraditional background, coming from retail rather than consulting or finance. Being able to tell a good story is important. When I spoke to different alumni from Stanford and Harvard, Harvard MBAs always talked about the rigor of their work and how much they learned. Stanford alums talked about the friendships they formed and how much they appreciated the people who made up their class—that’s what really drew me to Stanford. I come from an entrepreneurial family—both my mom and dad are entrepreneurs. I knew that at some point my sisters and I were going to try and start a business. Stanford, being located in Silicon Valley and everything else around it, felt like the best fit. I visited Arum when she was at HBS and the focus on the case study method stood out. Stanford’s approach is more mixed, with more experiential learning. I also think that because the Harvard MBA class is so large, you don’t get to know too many other people outside your section. Whereas at Stanford, because the class is relatively small, it creates sense of intimacy—there’s not one person I don’t know from my MBA class. Even now, when I look at my sister’s alumni base versus mine, I think the willingness to help each other, to open up and share more, is something very special to Stanford. Is an MBA necessary for an entrepreneur? No. But it was incredibly valuable for me. It’s given me the confidence to actually go after this. Joel Peterson. In his class, you study the stories of different entrepreneurs and their businesses. Then, they bring that person in to talk about what happened; why they made certain decisions; what things were going through their mind. You learn from their experiences. As a professor, I’ve never seen someone who deals with different situations with so much authenticity. How do I get into Stanford? The admissions committee are very intentional about the makeup of the class. They do a really good job at picking people who are not only smart, but have a purpose that is larger than themselves—t hat’s the culture they want to cultivate. Arum says Harvard; Dawoon says Stanford. It’s no surprise; both MBA programs propelled the sisters into new careers in entrepreneurship. In fact, most MBA alumni are keen to back their choice business schools. “That’s the great thing,” Arum explains. “I hear stories about Dawoon’s experience at Stanford and, at the end of the day, if I ended up going I’m sure I would have had an amazing time there too.